One of the longstanding goals of our health and fitness blog is to give members and readers insider knowledge at living a healthy life. With that, we’re excited to announce that we’ve landed the #21 spot on Feedspot’s Top 100 Fitness Blogs list, which spotlights blogs focusing on expert fitness, health, nutrition, and lifestyle tips! Whether you’ve been hitting the gym for years or have just now made a promise to become more active, we support you. Readers can turn to our blog to get helpful wellness tips, healthy recipes, workouts, and more. We know some days it takes a little extra motivation to stay on track, which is why we’re here. 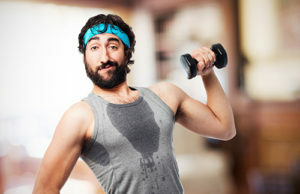 Our health and fitness blog posts are meant to be a fun mix of information and entertainment. 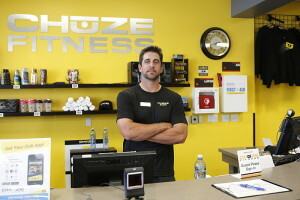 It will probably come as no surprise that one of our most popular entries was focused on the time Green Bay Packers quarterback Aaron Rodgers posed as a Chuze Fitness employee for the reality show, I Get That a Lot. Imagine the surprise of our gym members who were greeted by the football star playing it off like he was a lookalike! 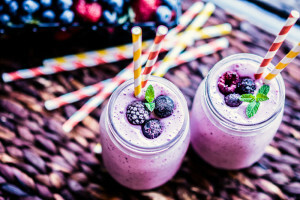 We also include “best of” lists like 5 Best Post-Workout Foods (mmm, smoothies) and the Best Workout Songs of 2015 (Justin Bieber, anyone?). Plus, we stay on top of industry trends, including why it’s nice when the gym and technology connect in gyms with Wi-Fi. You can count on us to help maximize your workout, no matter what level you are, and prevent you from being a gym etiquette offender. You can see we cover a range of health and fitness topics and like to switch things up, just like any good workout. While we definitely appreciate the recognition in the fitness industry, we know it couldn’t be done without the community we have built within our Chuze Fitness gyms. Thanks for helping us get to where we are. We look forward to achieving many more goals in the future as you achieve your own!